Despite my best efforts to polish it off after the kids have gone to bed, we still have a TON of Halloween candy. 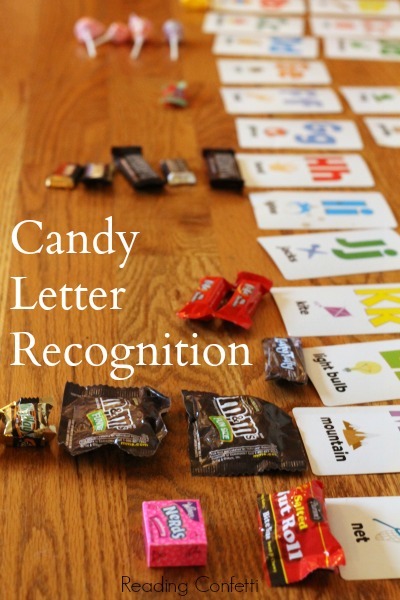 Since my kids like dumping the candy out, sorting it, and gazing at it lovingly almost as much as they like actually eating it, we used it for a simple letter recognition activity. All you need are alphabet cards (or index cards) and a bucket of Halloween candy. We started by lining up our alphabet cards in order. If you don't have alphabet cards you could quickly make some using index cards. This was the longest part of the activity and gave us the most alphabet practice since every time we added a card we started at the beginning of the alphabet to figure out which letter came next. 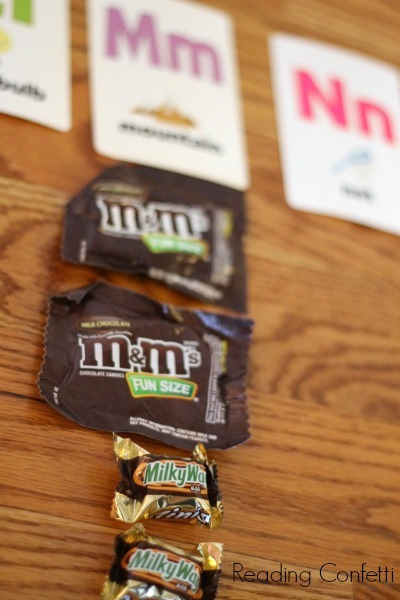 Once the alphabet cards were laid out, we sorted the candy by letter. 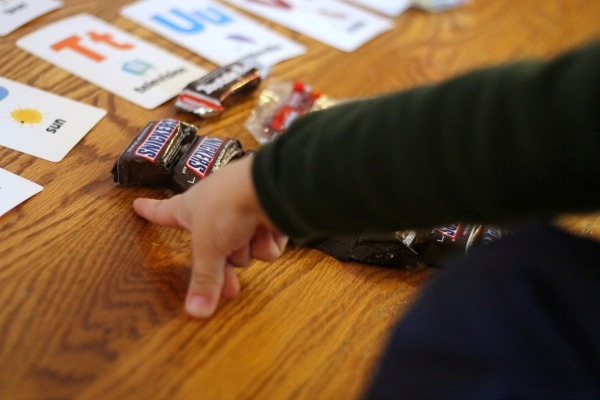 We placed the candy bars under the letter card that corresponded to the first letter of the candy. My 5 year old REALLY enjoyed this activity. 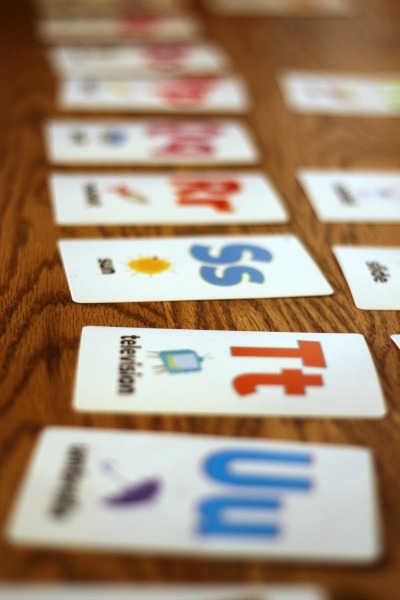 And if you're looking for more ways to use your alphabet cards, I've got 20 more ideas for you. I'm sorry, Debbie. I'm not sure what you're looking for? Looks like a great way to play with an assortment of candy! Thanks for sharing at Mom's Library; I featured you this week!